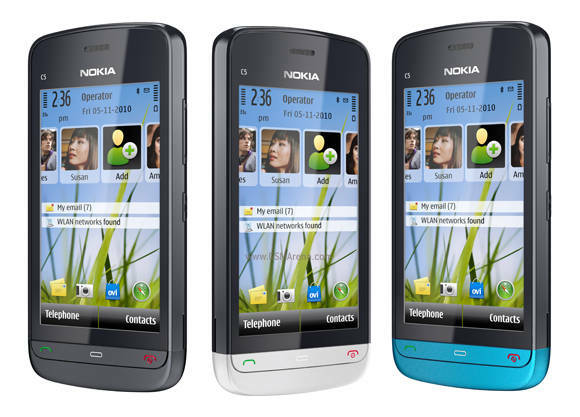 Nice thread.owner pls do u d price in Nigeria i.e dat nokia c5-03. My wishes for you in year 2011Great start for Jan,Love for Feb,Peace for march,No worries for AprilFun for May,Joy for June to Nov,Happiness for Dec,Have a lucky and wonderful 2011.
thread owner u dey made me sick.u couldn't even differentiate from cheat n ur thread. www.gsmarena.com get everything u need to know about ur fÃ¶nes. yes you are right. Just type the phone model in google and check on the link wit gsm arena to view everything about the phone. where can i get n79 second hand?